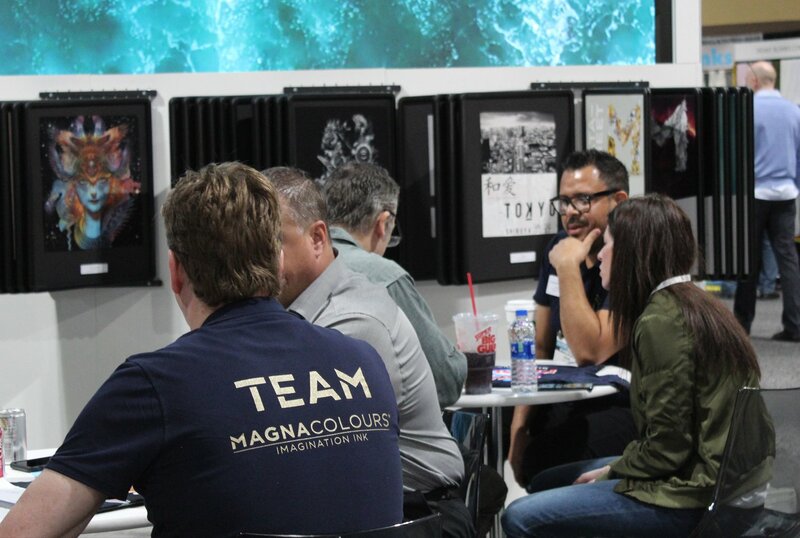 We’re taking a look back at the ISS Long Beach tradeshow from January 2019, where MagnaColours® unveiled its brand new CSR initiative, BluePrint, previewed some exciting new product ranges and demonstrated the cutting edge innovation of MagnaPrint® water-based inks. 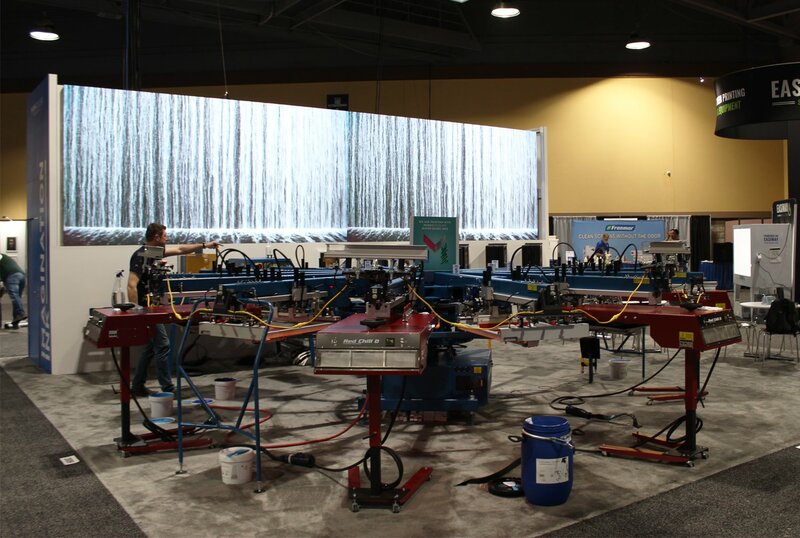 The star of the show at ISS Long Beach was our live screen-printing demonstrations. Printing on polyester t-shirts enabled MagnaColours® to showcase the capability of their range with a striking, sportswear themed design providing the artwork for the wet-on-wet/wet-on-dry range MagnaPrint® Edge, which allows screen printers to print vector or tonal artwork, continually with fewer flash units than ever before. Not only did we make use of Edge and the high solids range AquaFlex V2, Magna also incorporated special effects inks into the design, including the soft, flexible metallic-effect ink, MagnaPrint® Bling, and the latest puff-effect paste, Expanding HT, which added dimension and texture to the polyester garments. The live screen-printing all took place in front of giant LED screens, with amazing visual effects providing an atmospheric backdrop and creating buzz on the stand. The preview of MagnaPrint® Killer Base at ISS Long Beach generated a huge amount of excitement amongst visitors. Magna’s newest base layer ink is an economical solution to improve the handle and softness of plastisol inks, whilst also providing plastisol printers with their first step into water-based printing. Magna also showcased new special effect inks MagnaPrint® Fade Out, which gradually changes its appearance the more a printed garment is washed to create distressed, vintage effects, and MagnaPrint® Wet Reveal, an ingenious new ink which disappears when wet, revealing printed areas underneath the opaque top coat. Not only did new Magna introduce new products, but ISS Long Beach 2019 marked the launch of the BluePrint campaign, a corporate sustainability partnership between Magna and ocean conservation charity Just One Ocean. The aim of the initiative is to raise awareness of global ocean pollution and the impact of unsustainable manufacturing processes from the garment industry, by supporting Just One Ocean through valuable donations. At ISS, the reception from brands and screen printers alike was extremely positive highlighting the importance of sustainability in the industry and Magna’s leadership in this field. 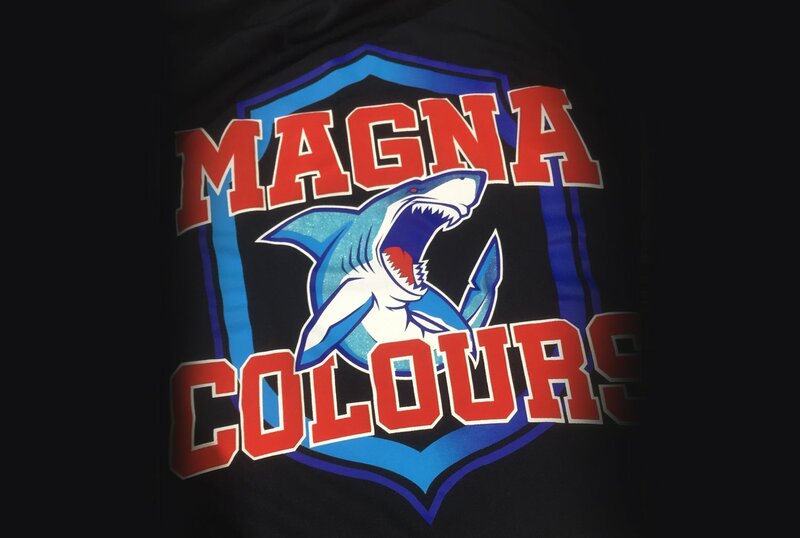 Stay tuned for new developments and innovations from MagnaColours®. We can’t wait for ISS Long Beach 2020!